Located in the sleepy little burg of Novacella, in the Isarco River Valley, Abbazia was founded in 1142 by the Augustinian Order of Canons Regular. The Augustians are not monks in the sense that you may be familiar with: they have taken vows of poverty, chastity and obedience to their superiors; but they also work to support themselves as a part of their community. To this end, the Abbey not only grows grapes for winemaking, but also farms apples and vegetables, and there is a small school devoted primarily to studies of viticulture. The abbey's reputation as a winery is stellar and international. In 2009, Italy's influential Gambero Rosso named Celestino Lucin, the abbey's enologist, Winemaker of the Year. The lineup of wines is incredible! The range includes classics like Kerner and Pinot Grigio, as well as some lesser seen varietals like Veltliner and Moscato Rosa. While famous for their crisp, mineral-driven whites, the estate has also received acclaim for its "formidable reds." (Wine and Spirits Magazine). The aromatic Pinot Nero is one of the best that Italy has to offer. The Praepositus line represents the absolute best expression of Abbazia's vineyards. They are not single-vineyard wines, but selections of the best fruit from the best sites. 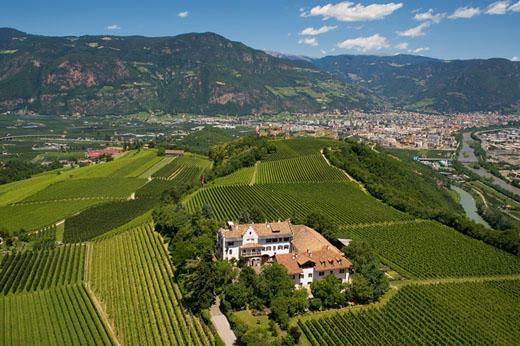 Vineyard practices: While the daily tasks of running a monastery, school and world-famous winery have kept Abbazia from jumping through the bureaucratic hoops involved with Italy's organic certification, the centuries old estate is practicing organic. Wine Advocate 88"The 2008 Lagrein is a soft, harmonious red with beautiful fruit, lovely overall balance andlittle of the rusticity that typically is found in Lagreins at this level."